Lincoln was well known locally for producing politically-charged progressive poster art. He eventually moved to the Bay Area and found kindred spirits in an Oakland print shop that was a workers’ co-op. The following is a report on the Exhibition by the artist himself. 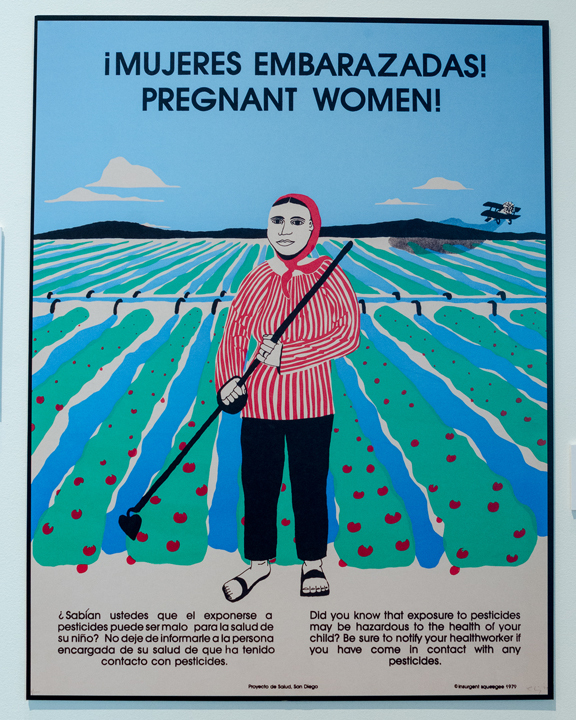 This exhibition examines some historic challenges of the past 120 years in achieving health equity for all in the U.S. We know that “race and place” are as important as personal choices in achieving our full potential. People with low-incomes, minorities, and other socially disadvantaged populations face significant inequities in opportunity for optimal health. This can lead to inequities in health, along the lines of race, ethnicity, and place. As this year marks the 25th anniversary of CDC’s Office of Minority Health and Health Equity, it is timely to reflect on the evolution of minority health over the last century. Looking back at how minority groups have experienced health problems differently helps us understand “why” these disparities persist. Though we have not yet been able to achieve our goal of the best health for all, we have as a nation made important strides in identifying the problems and implementing solutions. There is still more to do, and this historical reflection helps us examine what other vital changes are needed. In addition to viewing historic photographs, documents, and objects, visitors can check up on the health of their communities through interactive atlases. Videos, including one of Michelle Obama talking about access to fresh food and vegetables, will be integrated throughout. Great recognition for an amazing people’s artist and great friend. We called ourselves “Vegetable House” because we had a community garden on our site at 4975 Brighton. We happily consumed meat. OBcean denizen Dave Helvarg wrote a great piece on me and two other San Diego political artists for the LA Times – linked to this entry. Of course!, Lincoln was a work horse for all of our various groups. I STILL have an old t-shirt on Boycott Coors. A real treasure, as is Lincoln .